A large pothole on I-270 stopped at least a dozen vehicles in their tracks early Wednesday morning. One lane of I-270 southbound at MD-85 in Frederick, Md., remained closed as of midday while crews attempted to make repairs. Police say at least a dozen drivers had to pull to the shoulder of the road after striking the large hole, which is located in the left lane of an overpass. Many drivers had to wait for tow trucks to haul their vehicles away. 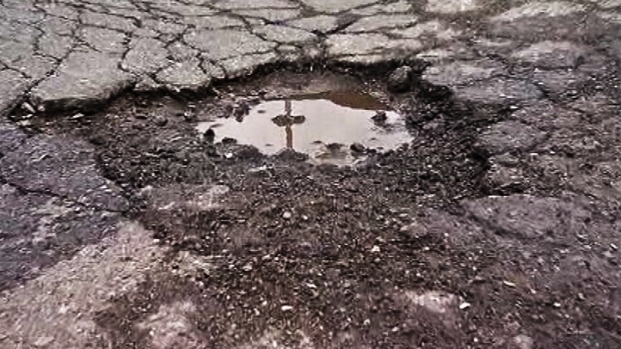 Drivers said it was so dark in the predawn hours that they were unable to see the pothole before striking it. 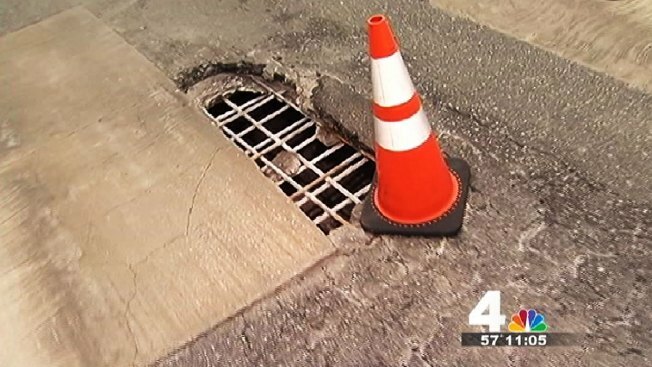 A huge pothole in Alexandria is only one example of a big problem throughout Metro D.C. News4's Derrick Ward reports. The incident led to backups three to four miles long. The Maryland State Highway Administration is on the scene. It's unknown how long the lane will be closed. 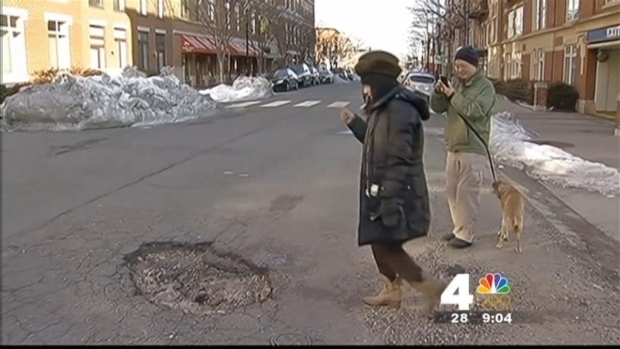 After a long, snowy winter, potholes have been plaguing many roadways around the region. In January, Chevy Chase resident Randy Denchfield told News4's Adam Tuss that he's used to seeing hubcaps near his fence close to Connecticut Avenue, but he's thinks he may be seeing more this winter. "We might have the whole fence covered with hubcaps" [by next week], he said at the time. In Montgomery and Prince George's counties, the Maryland State Highway Administration spends about $500,000 patching potholes every year. And in Virginia, AAA recently reported that it responded to nearly 9,000 tire-related calls in January and February in Virginia, up 10 percent from those two months in 2013.